Wren canyons down the morning’s edge, proclaiming dawn. Unpapered, unfettered, fearless, he abides. I say “he,” but sexual dimorphism is not apparent in the species. Accepting signals, we process and choose, freighting gender aside. Listening requires contextual interpretation, as does belief. Shrilling to the porch screen, he spears a moth, veers outward. 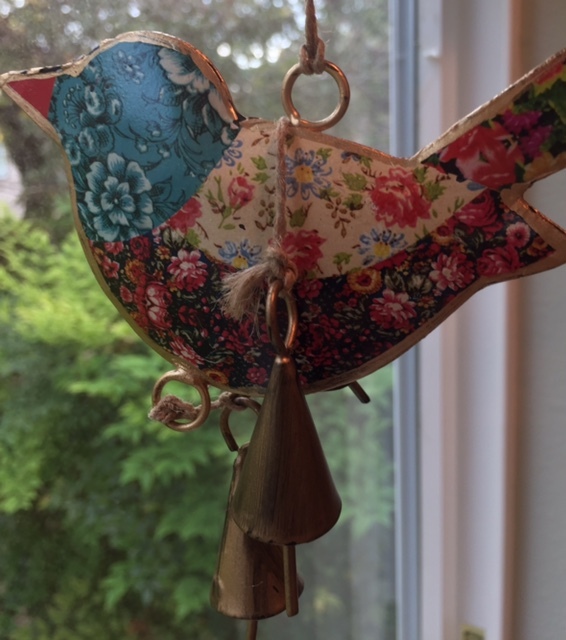 An acquaintance claims birds are soulless, existing only to serve God. As temple bells exist solely to announce, and rain, to water lawns. Faith’s immensity looms in the absence of proof. Spherical and hollow, suzu bells contain pellets. The search for truth without error does not preclude fact. “Diverting Silence” was published in Taos Journal of International Poetry & Art in February 2017. This entry was posted in philosophy, Poetry and tagged birds, creative writing, culture, life, nature, philosophy, poems, poetry, religion, writing by robert okaji. Bookmark the permalink. 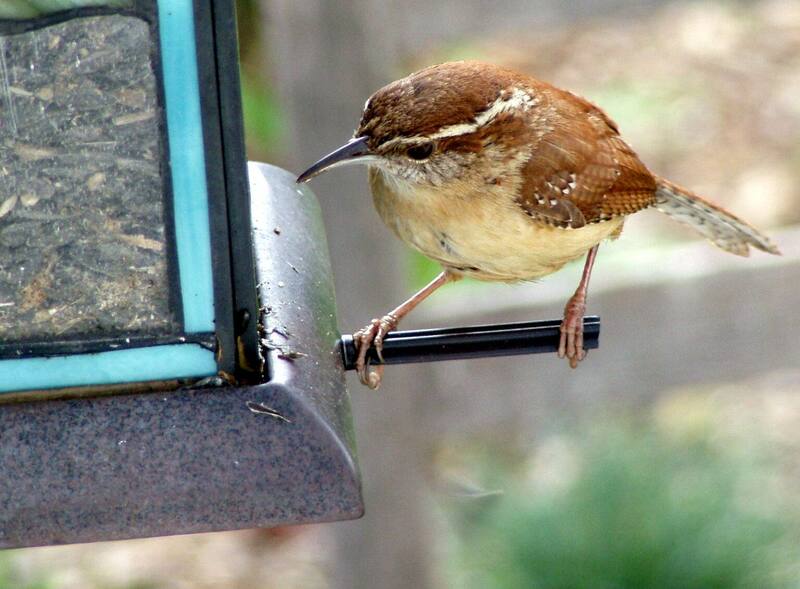 Wrens are among my favorite birds. Glad you liked that. Thank you. This one is especially interesting Robert. It’s inventive and a launch pad for further thought without programming the course in advance. “Wren canyons…” is one of my all-time favorite instances of verbing. The whole first line recites itself regularly in my head, as do the lines, “Shrilling to the porch screen…” and “Even tongueless bells ring.” The combination of image, music, and measured protest of didacticism in this poem is just exquisite. The Lovely Wife likes to challenge me on occasion. She offered me five words to use, among them wren, canyon and unpapered. I can’t remember what other words, perhaps bells? Ha! Yes, watering the lawn is pretty close to irrelevant in my book, too. “Faith’s immensity looms in the absence of proof” A great line! The definition not found in Webster’s! What an evocative first line, Robert! “Wren canyons down the morning’s edge, proclaiming dawn.” Many times the haunting call of the canyon wren has encouraged me to climb higher on a trail that seems endless. The song is the voice of the canyon itself. Thanks, Darryl. Wrens consistently brighten my day! Some nice apothegms here like “Faith’s immensity looms in the absence of proof.” Which is a great line. Musically sound to with “loom” & “proof” marrying sonically. i thought “I say “he,” but sexual dimorphism is not apparent in the species.” was funny, like the best way to write that line was to go to your dictionary of ornithology to extract the information & the sentence. It has an irony as their is music (bird song) in the other lines & then this one is so human. Well, the dimorphism line was sort of a tongue in cheek reference to the rules of grammar and our collective interest (insistence?) in identity. i didn’t get that, but it makes sense. i got a sense of humour from it though. i appreciate those subtle humourous asides, they don’t break my concentration, just a little taste, which we’ve found out you’re so against, haha. Just kidding. Wrens, my favourite garden bird. You’ve caught them. Like the second line especially. An acquaintance claims birds are soulless Don’t say that to the crow that picks locks. You may insult him (or her). I would not want to insult my friends!